Rule of thumb for a field trip is, before you relax, make thin sections. You create both thin section and powder from each chunk. This lab is dedicated to create thin section. 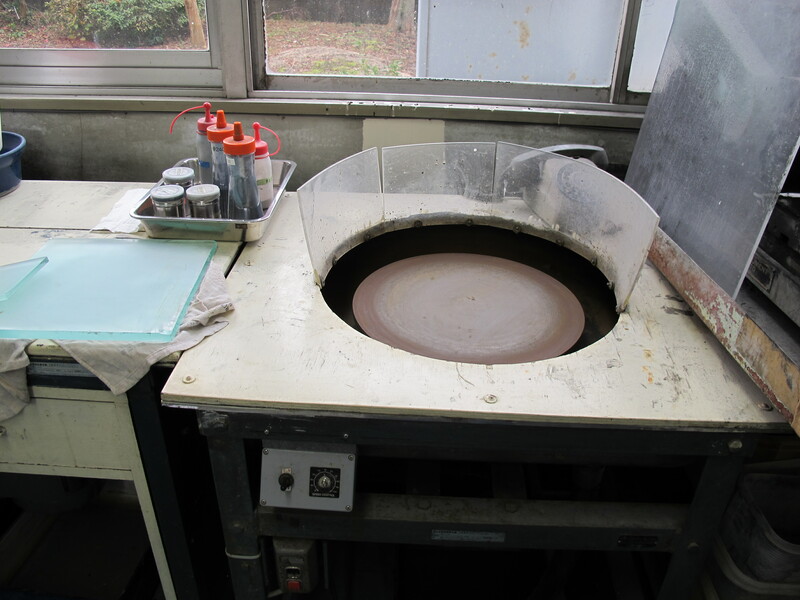 You may think thin section making by yourself looks ancient custom. 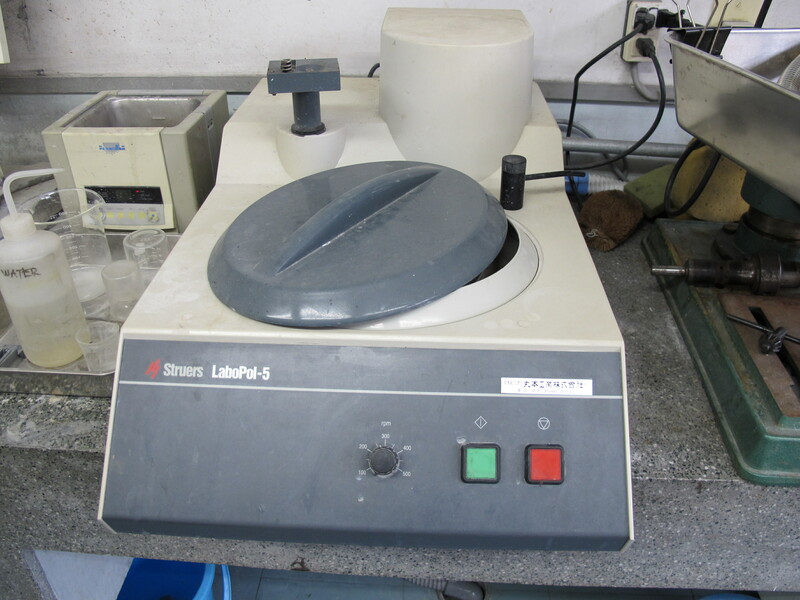 That is true but high-precision probe analysis relay on a good surface. It is a good idea to learn how to make a good thin section. 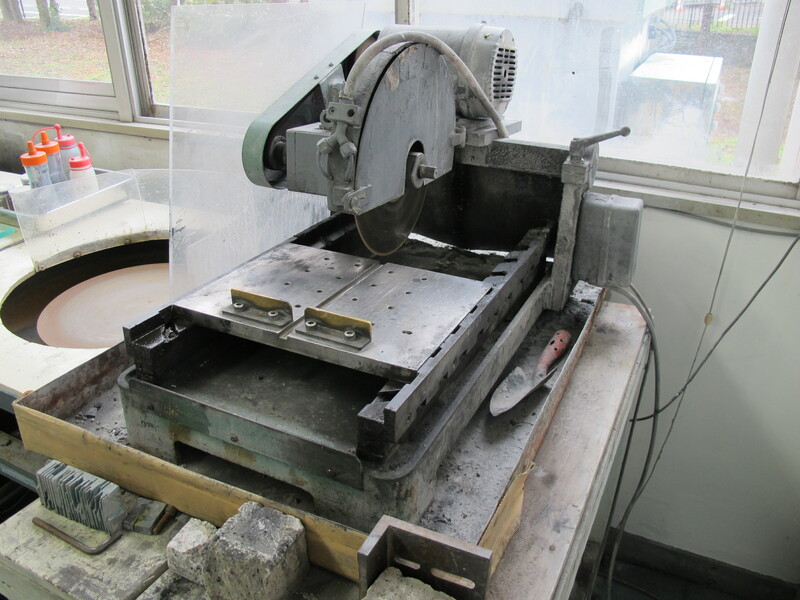 You cut rock by gigantic rock saw, or moderate Maruto Mini Lab cutter. 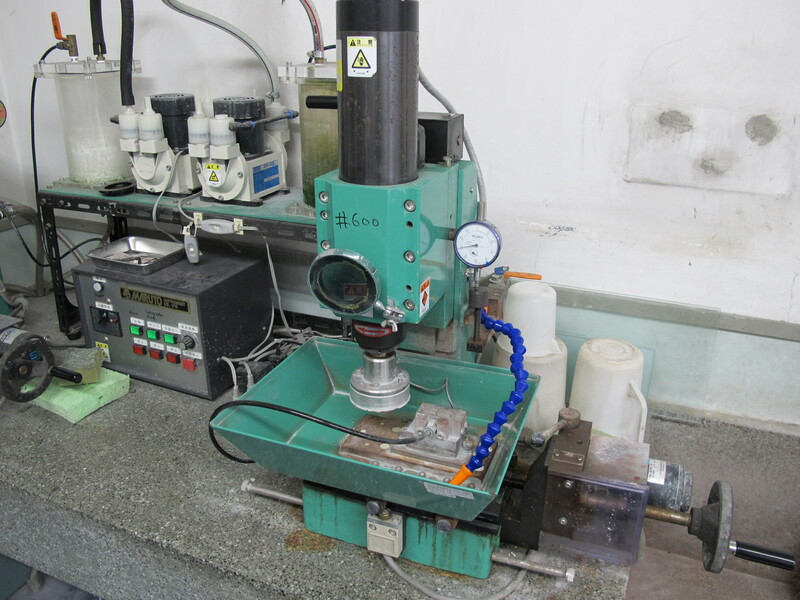 The surface of rock is roughly polished by Grinding Table using iron powder. 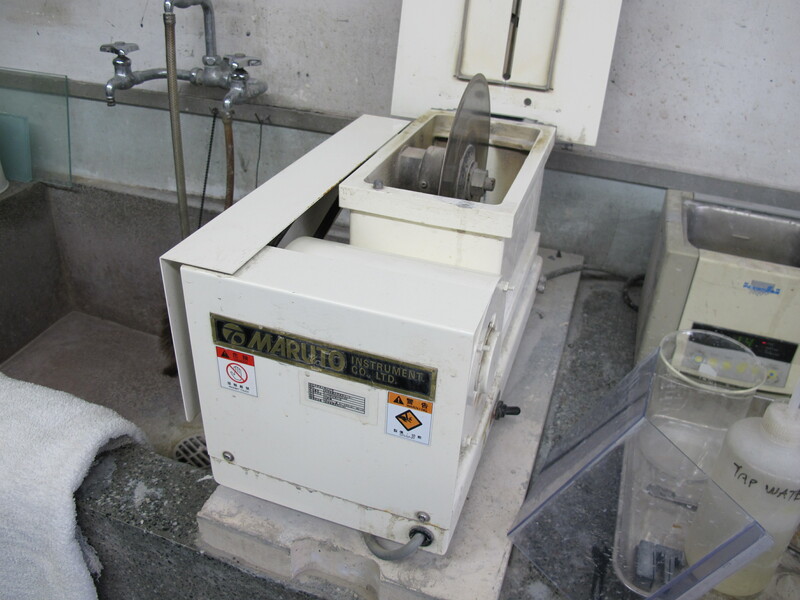 The rock is glued into glass and the very thick section would be sliced down to thin section using Maruto prepalap.